It's not just that the rumor if totally out of left field—and besides, baseball lingo probably isn't appropriate for a British story about a Finnish company. It's that, on the surface, it just doesn't really fit with Nokia's MO. First and foremost, we've got the issue of Symbian, Nokia's still-developed-though-kinda-old-seeming OS, which they finally fully gobbled up last year in a multi-hundred-million dollar deal, and for which they've just opened a brand-new app store called Ovi. Then we've got these rumors about what the recently announced Nokia/Intel collaboration could possibly be. Many people see a tablet with an alleged in-house OS called Maemo Harmattan—odd and mysterious, sure, but decidedly not Android. In fact, it's hard to see where, if anywhere, Android could fit into this rumor. The fact that one rumor about a company doesn't match up with another doesn't usually mean anything, but given the latter story's surprising nature and proximity to the other, as well as the Guardian's limited track record in the tech rumor space, I'm inclined to think that maybe we're seeing some conflation (and distortion) of theories here. But who knows! Just about every other company in the world is dipping a toe in the Androidian ooze despite prior investments and history with Windows Mobile, so why should Nokia let its past keep it from enjoying the profits fun? It's possible, and to be honest, I'd really like to see the rumored product. I'd just count the whole thing a bit dubious for now. There is no truth to this story whatsoever. 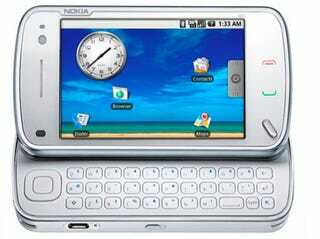 It is a well known fact that Symbian is our platform of choice for smartphones.